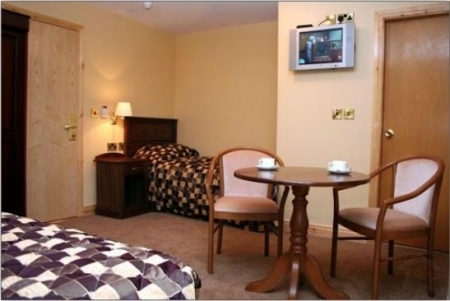 Dun A Ri House Hotel is a charming, modern, family run hotel located in the bustling town of Kingscourt, Co. Cavan, Ireland. It is situated in a perfect location for both business and leisure travelers with easy access to the North and East. 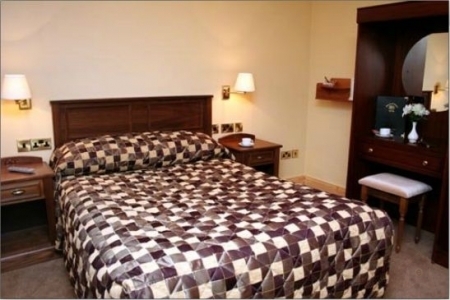 The En-Suite guestrooms at Dun A Ri House Hotel have been recently refurbished to provide a range of modern facilities. Dun A Ri House Hotel boasts an award-winning A-La-Carte Restaurant and a traditional style pub used by locals and visitors alike who enjoy the welcoming atmosphere, the great food and the best pint around! Don't forget our Gift Vouchers for the special loved one in your life. 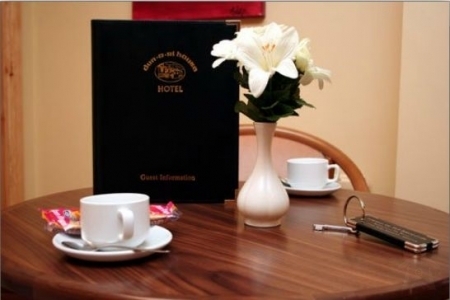 The Dun A Ri House Hotel offers our guests a warm and personal welcome. Our En-suite rooms are designed not only with style in mind, but also provide the lavish comfort and practicalities you need when traveling for business or pleasure in the Cavan region.